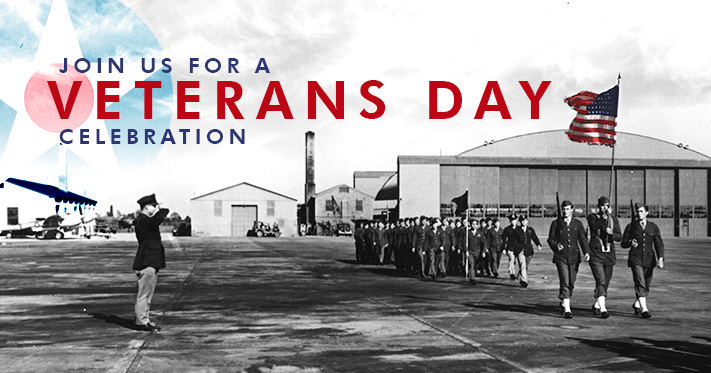 Join us at the AMC Museum for our 2017 Veterans Day ceremony on November 11th. The museum opens at 9:00 a.m. and seating begins inside at 9:50. The ceremony begins at 10:50, rain or shine, with a film and opening remarks followed by posting of the colors. In addition to the Dover AFB Honor Guard and special guest speaker Colonel Bob Leicht, USA, (Ret. ), we will have music by the Milford Community Band. Charlie’s Hot Dogs food truck will be available for lunch. Many of the museum’s airplanes will be open for viewing until 2:45 p.m. The museum will close at 4 p.m. This is great! I learned so much. I learned the difference between Memorial Day and Veterans Day (no apostrophe). Why is this not taught in school? Why is hate and divisiveness taught instead? I have constructed a list of “patriotic” holidays for my family and friends and I am shocked how very few we really celebrate. Thank you for this good information. No kneeling here during the Anthem!